A full range of club gear now in stock at our partners G Sports Newbridge. G Sports is located at Langton Cross, just across from McLoughlin Oil. Customer parking available at rear of premises. Contact Andy Groves and his staff on (045) 437 579. Occasionally a specific size may be temporarily out of stock, but Andy can turn around most re-orders in 8-10 days max! 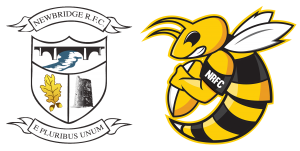 Order from the full range of Newbridge Rugby Club gear online HERE.